LONDON — Male sports fans make up more than half of the group of people with an interest in women's sports, according to a report published Thursday by analysts Nielsen Sports. The report found that 84 percent of general sports fans in eight key markets around the world, including the United States and Britain, have an interest in women's sports, and that 51 percent of those are male. "This research not only illustrates the vast amount of people actively interested in women's sports today, but also shines a spotlight on the significant commercial opportunities on the horizon," said Lynsey Douglas, who led the team behind the 32-page report "The Rise of Women's Sports." "From equal pay to record audiences and new media deals, women's sport is one of the fastest changing areas in the sports industry, and is more important now than ever before." The landscape for women's team sports has changed dramatically over the past few years, creating the potential to increase the cost of broadcasting rights and the pay of the athletes themselves. 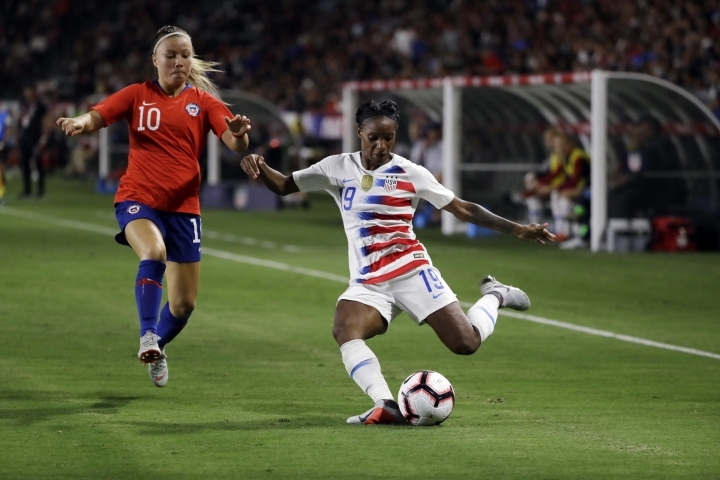 While tennis and golf have led the way for decades in the professionalization and commercialization of women's sports, their counterparts in team sports have lagged far behind despite some exceptions, such as with soccer in the United States. That's all changing though, particularly in soccer, with leagues around the world being established. The Women's European Championship in 2017, for example, attracted a television audience of 150 million, according to Nielsen. "Building on this momentum, next year's Women's World Cup is set to engage on a large scale and represents a great platform for brands to stand out," Douglas said. Nielsen found that of those people aware of next year's eighth Women's World Cup in France, 34 percent have already shown an interest. That's not far off the 45 percent equivalent for this year's men's version in Russia, which was eventually won by France. With promotional campaigns still to come, Douglas said there is a "clear chance" to engage potential fans ahead of the tournament, which will be broadcast around the world. Major broadcasters, such as the BBC in Britain, TFI in France and Fox in the United States, will show extensive coverage of the competition. Nielsen's research in the eight countries — Australia, Britain, France, Germany, Italy, New Zealand, Spain and the United States — involved 1,000 interviews per market, split between men and women between the ages of 16 and 69.